That blonde, she's a bomb, she's an atom bomb. Rigged up, and ready to drop! Bad news, I'm a fuse, and I've met my match. So stand back, it's about to go off! That vixen, she's a master of disguise! I see danger, when I look in her eyes. She's so foxy, she could lead to my demise. So I'm running, 'cause I've run out of time. She’s a bombshell blonde, wired up to detonate! I’m James Bond, live to die another day! Bombshell blonde, high explosive dynamite! She’s all I want so I, I’m on a mission tonight! And her charm is spiked with a spell. A hot mess in a dress gets the best of me. She's ice cold, but she's making me melt! I, I'm on a mission tonight! 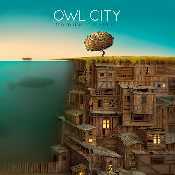 Estamos Escuchando Bombshell Blonde de Owl City con letra en este video de música online con en el video clip con estilo Pop Rock y editado en (2012) e incluido en el disco ''The Midsummer Station''. El tema "Good Time" es el mas escuchado del CD donde puedes ver su letra y las canciones Top "Fireflies" ,"Shine Your Way feat. Yuna" ,"When Can I See You Again?" ,"Good Time" ,.